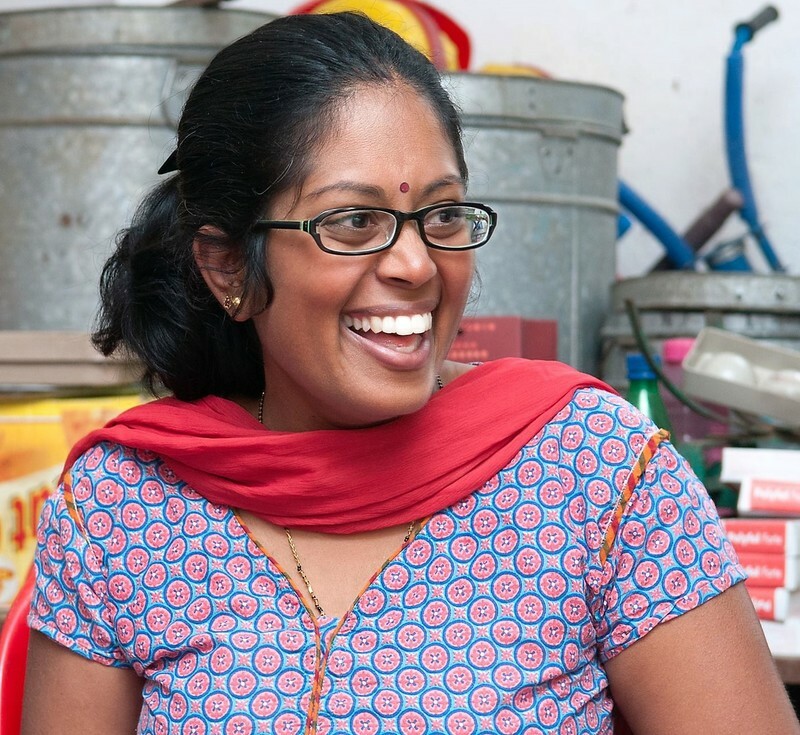 Mathangi Subramanian is an award winning author and educator who writes for the young and the young at heart. In 2016, her novel Dear Mrs. Naidu (Young Zubaan) won the 2016 South Asia Book Award and was shortlisted for the Hindu-Good Books prize. She currently lives in Delhi with her husband, her daughter, and many, many picture books. Her book 'A Butterfly Smile' is available to read, translate, download and share for free on StoryWeaver. The thing I remember the most about the two years I lived in Bangalore is the construction. Everything was new, new, new: new flats, new hospitals and new offices. Every street seemed to have at least one cordoned off area where the air was thick with dust and the sidewalk was jagged and broken. 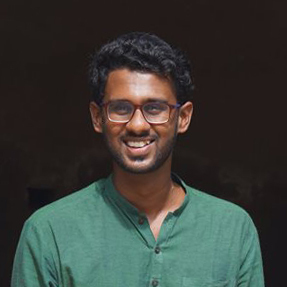 People who grew up in Bangalore grumbled that the sleepy town they knew disappearing, brick by brick, block by block, swallowed up by glass walled skyscrapers sprouting from the pavement like steel flowers. I didn’t just see new buildings. I saw new families. Mothers who buttoned men’s shirts over their saris, wrapped towels on their head to help balance buckets of rocks and gravel. Fathers who stopped to retie their dhotis before hoisting steel pans of gravel up to waiting hands cracked from sunlight and labour. But most of all, I saw children. Babies playing in piles of sand, toddlers learning to walk on newly laid linoleum floors. Girls in faded school uniforms snapping laundry on lines strung between unfinished walls, boys eating roti off of dented metal plates in the shelter of unfinished doorways. Children who grow up shuttling between some of the city’s poshest buildings, and yet, were unsure of where their next meal is coming from. Research repeatedly shows that in India, one of the primary reasons that parents migrate from villages to cities is for the schools. Some come from areas where education is subpar; others come from areas where there aren’t any schools at all. Although children don’t have a say in their parents’ choices to migrate or stay, many that I’ve met over the years are thrilled at the chance to learn. But they are also terrified. Remember your first day of school? You may have three, four, or five years old. Now imagine that first day as a seven, eight, or nine-year-old, sitting next to children who have already been learning to read and write and add and subtract for years before you even dreamed it was possible. Kavya, the protagonist in “A Butterfly Smile,” is character I developed based on conversations I’ve had with migrant girls attending Bangalore schools where I once worked as a researcher. Like the girls I’ve met, Kavya is strong and hopeful and brave. But she is also grappling with moving to a city that labels her and her family as backwards, ignorant, and pitiful. Just because Kavya has never gone to school, though, doesn’t mean she’s ignorant. Kavya, like many children, is observant and curious. She knows about butterflies because when she lived in her village, she paid attention to the world around her. She noticed life’s details. In the city, we get used to tunneling our vision, to focusing only one what is in front of us so we can get through our day. 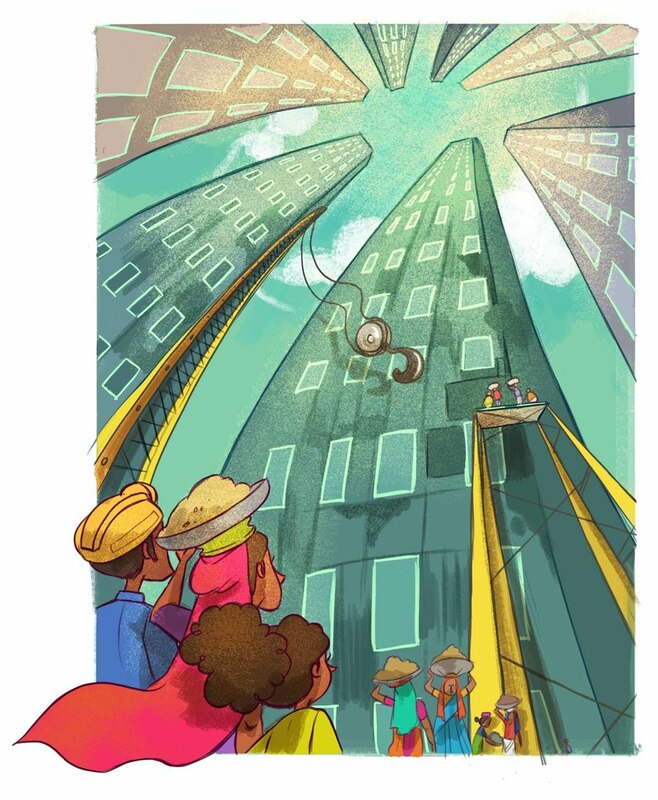 So even though we see the traffic jam around a new construction that makes us late to work, we don’t see the butterflies hovering around our car windows, or the families building cooking fires in the shelter of a half-finished office building. We shut the bustle out just so we can get through our day. For me, “A Butterfly Smile” is a story about migration. But it is also a story about the importance of looking around, and of seeing each other – insect and human, rich and poor, child and adult. Kavya is one of my favorite characters that I’ve created, because despite her uncertain world, she let has the courage to let life in. After reading this story, I hope you will too. 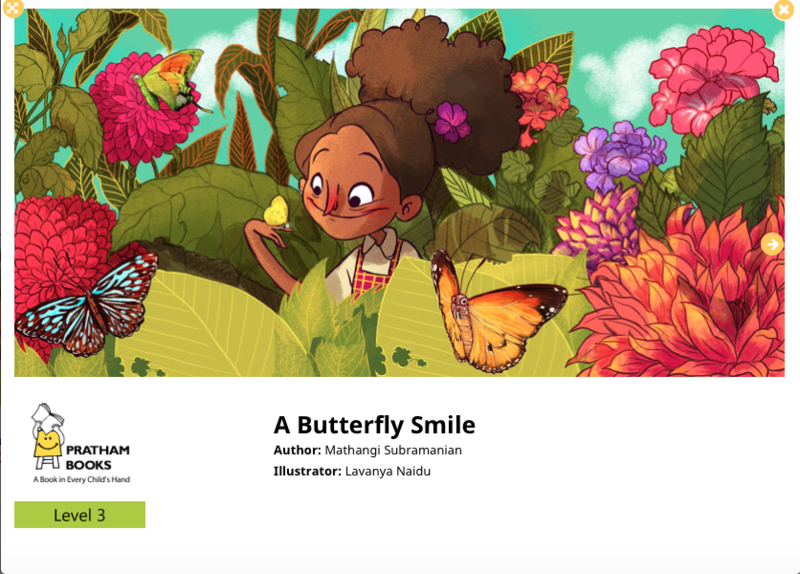 You can read 'A Butterfly Smile' by Mathangi Subramanian and illustrated by Lavanya Naidu by clicking on the above image. 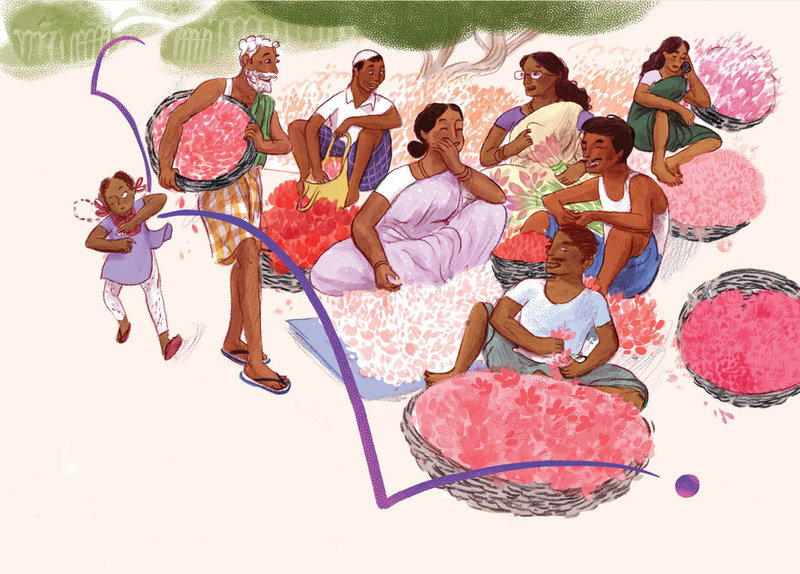 The story has been translated to Tamil and French and will soon be available to read in Hindi, Marathi and Kannada.